Have been thinking about taking your life on the road? Wanting to have the freedom of moving around without the hassle of packing? If so then you need to come to your local Airstream dealer in Wisconsin and see one of the many new and used Airstream for sale. 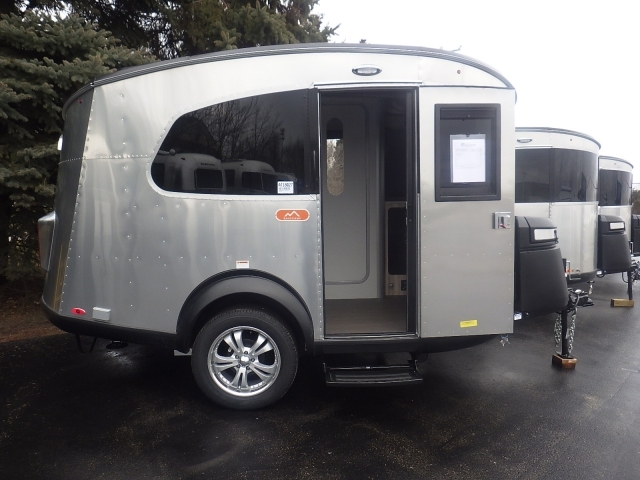 Ewald’s Airstream of Wisconsin is ready to get you on the road with a travel trailer or RV that is going to fit perfectly with your wants and needs when it comes to traveling. Here at your local Airstream dealer, we understand that when each person that walks into our office is going to have different wants and needs. Which is why we have a team of people who are happy to answer any and all questions you may have about one of the many new and used Airstream for sale. That includes questions about the all-new Airstream Basecamp for sale. Do not let the size of this camper for sale fool you with many hidden storage features you will never feel cramped in this Airstream Bambi trailer. The Airstream Basecamp for sale is ready to take on the most rugged or roads and is light enough for an SUV to pull it. The Basecamp was designed for easy towing and practicality, so everyone from a first-time trailer owner, to a veteran trailer owner, can tow and enjoy the Airstream Basecamp. This Airstream travel trailer makes parking a breeze with the ability to park in spaces that your bigger and bulkier campers will not fit. Plus if you are looking to take the path less traveled then this trailer for sale is what you are looking for here in Franklin, WI. 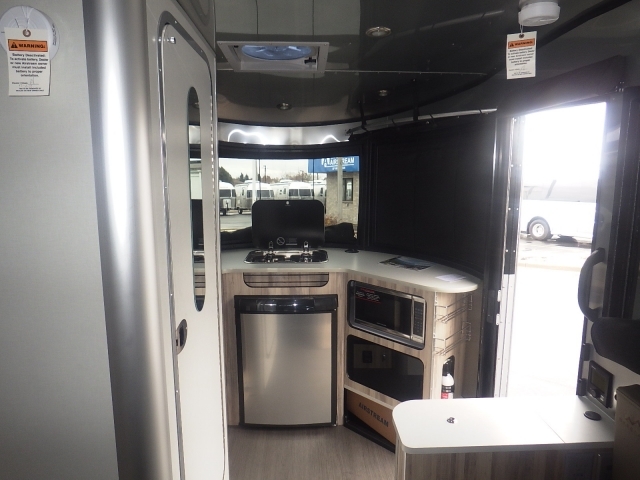 The Airstream Basecamp for sale comes with a full kitchen and stainless steel appliances. With a cover for the sink and stove, top preparing and serving food will be easier than ever before. This Airstream trailer is the perfect size for a couple or single person to take on a cross-country adventure. With an exterior length of 16’3” and a net carrying capacity of 913, this Airstream travel trailer can fit in those tiny spaces that other bigger more bulky trailers would not. The Basecamp sleeps up to 2 people comfortably and comes with a full kitchen and bathroom with a 22-gallon fresh-water tank, and a 29-gallon black water tank. Have everything you need all in one easy to reach a place and with storage features on the ceiling and doors your living space will be clutter free. Though the Basecamp seems small on the outside, with a clean and simple design as well as many storage spaces you will feel right at home in this Basecamp Trailer. When you are looking for an Airstream trailer for sale that is perfect for going to take you off the beaten path come and see the Airstream Basecamp for sale. If this Airstream travel trailer for sale is not what you are looking for come and see one of the many other new and used Airstream in Franklin, WI. Wisconsin. When you are looking for an Airstream for sale near you, come to Ewald’s Airstream of Wisconsin at 6269 S 108th St, Franklin, WI 53132.